Note: The Aeries Portal may not be available to parents and students until the second week of school each year. All parent and student accounts from last year will continue to work in the new year--even if the student has changed school sites. If your have forgotten your password, simply click the "Forgot Your Password?" link. If you have changed your email address (which functions as a (username), please contact the school secretary so that he/she can put your new email address into the system. School sites will distribute Aeries Portal account creation information to students and parents of 6th graders and, also for any student in middle or high school grades who is new to the district this year. In order to create a new account students and parents will need the student's Verification Passcode, or "VPC" (which is not the Email Confirmation Code) and the student's 9- or 10-digit ID number. Please contact the school office if you are new to the District and did not receive this information by the second week of school. Note: The Aeries Portal server will send an automated message to your private email address as part of the Aeries Portal account creation process. Be sure that your email account is set to allow incoming messages from the domain "ycjusd.us". Since the emails will be automated, many email systems (notably AOL) reject such messages unless the exact email address or its domain name is added to the safe senders list. Also, the system will only allow the creation of one Aeries Portal log-in account using a single email address; however, parents may, once they have created their first new Aeries Portal account, link that account to other children they may have within the district provided that they also have the VPC and Permanent ID for those students, as well (see paragraph below). 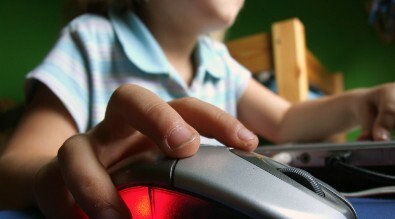 Students under the age of 13 may not yet have an email account of their own, and parents may not yet be ready for them to have their own accounts. In those cases, we encourage parents to either establish a parent-monitored email account for their child or simply allow your student to also use your Aeries Portal parent account once created. Should the child click the Forgot Password link and the password gets reset, it is the parent who will receive the email with the new password--not the student. Linking to Additional Children: Once you have created an account for one student in your family, you may link to your other children through Aeries Portal by clicking the CURRENT STUDENT drop-down menu selector at the top right-hand side of the ABI home page and click the link to "Add Additional Student Not Currently Listed." You will need to provide a separate Permanent ID number, telephone number, and VPC for each additional student to which you would like to link. One final note: Be sure that the browser being used is set to refresh each page with each visit so that the most recent data is always what your computer displays. Student account usernames are constructed as follows: Entire first name followed by the first letter of the last name followed by the last three digits of the student's Permanent ID number followed by "@ycjusd.us". Therefore, a student named John Doe with the ID number of 123456789 would log in asjohnd789@ycjusd.us. The password is the entire Permanent ID number. Log in at http://www.ycjusd.us. When keying the password, do not use the numeric keypad or caps lock. If you encounter an error screen, you will need to completely close the browser (all open windows) and start a new browser session before trying again. Office 365 is currently operating in a "closed-campus mode", meaning that student email can only be sent/received to/from @ycjusd.us and @ycjusd.k12.ca.us addresses. Staff accounts are not restricted and can send/receive with any addresses. Because Office 365 stores cookies in order to improve the user experience, (1)be sure that cookies are enabled on the browser you use to access Office 365, and (2) close all windows of the browser and open a fresh instance if you make a typo when entering your log-in credentials before trying again. If you have repeated problems logging in, try clearing your browser's cookies and Internet history (found in the browser's settings). Or, just try using a different browser.